With our Nations focus on Alternative energy as a means of reducing our dependence on foreign oil Solar and Wind will become more and more important. Rhema Electric has partnered with Green Power NW to educate and offer these services to each customer. Cost is down to an all-time low for Wind and Solar materials and the Federal, State, and Utility incentives have never been higher. Rhema Electric is a full-service designer, installer, and integrator of alternative energy solutions. We begin every project with a with the customer’s needs and wants in mind then we offer a return on investment calculation offering the most financially sound solutions. 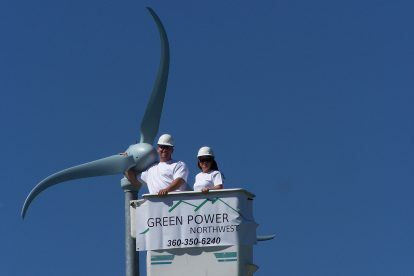 Rhema Electric LLC, Has teamed up with Green Power NW to bring energy efficient solutions to every customer. Green Power NW is a partnership of leading Electrical, HVAC, Plumbers and Building Professionals working together to bring energy efficient solutions to the whole home or business. Rhema Electric brings our electrical experience and training to evaluate each customer and find cost-effective ways for them to use their electricity more efficiently. When a home or business has maximized their efficiency we can help them design a Wind Power or Solar Electric system to meet their exact needs and budget. Along with the expert team of installers, integrators and designers working at Green Power NW we have a full-time staff researching the latest Grants, Rebates, and Incentives to help our customers finance their Green Power projects. Rhema Electric Installed this Skystream 3.7 Wind Generator along the Skagit River in Mount Vernon, WA for Jim and April Axthelm. This project was a partnership with Green Power NW. 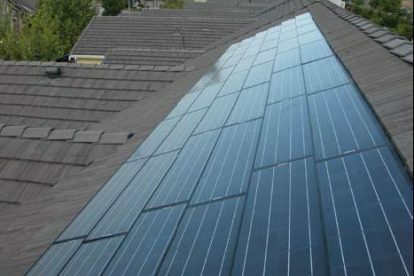 Solar PV systems convert the power from the sun and make it available to use in your home or business. Rhema Electric is a full-service designer, Installer, and Integrator. We offer the latest technology from solar roofing, solar shades, and hybrid system to conventional glass module systems. Solar has become an important part of the Architectural design in modern buildings. Washington State residents have been discouraged by our cloudy climate not realizing that we have better sun exposure than 80% of the world. The world’s leader in Solar PV installations in Germany who’s climate is no better than our own. 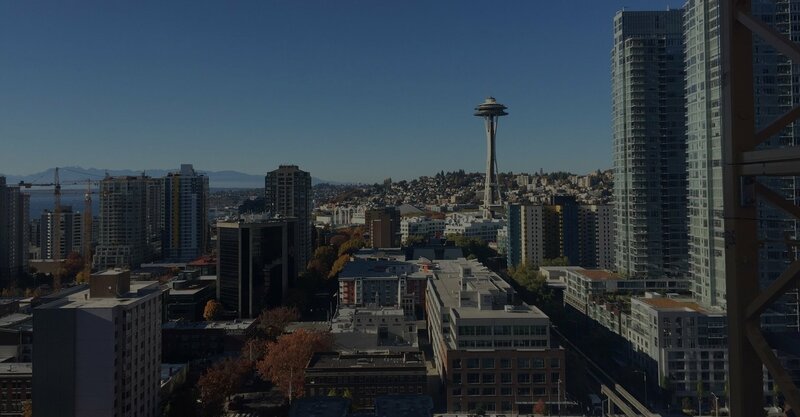 Washington State legislators have done their part by offering a sales tax exemption and made in Washington rebates that are making these systems more attractive. Wind Generators come in many shapes and sizes. We carry small roof mount units to utility-scale tower units. Wind Generators take the power of the wind an convert it to power you can use in your home or business. Although you may see many shapes and styles of turbines principle remains the same. 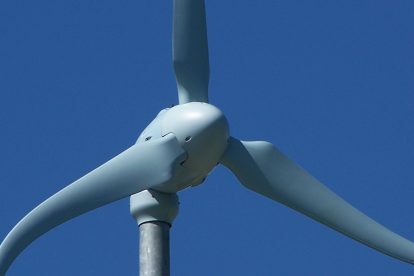 Wind Generator is best installed where there is a consistent wind of 10mph or better. Hybrid systems use wind and solar PV to take advantage of both wind and sun. The advantage of a hybrid system is that even when the sun goes down the wind can still blow and on the calm sunny days when there is no wind the sun can power the system. Rhema Electric in Partnership with Green Power NW offers Energy Audit services to evaluate the energy efficiency of your property. We evaluate all your electrical, HVAC, Insulation, windows and plumbing. In this evaluation, we identify areas where you can save energy, what it will cost to upgrade, what rebates will help you pay for this work and finally what your return on investment will be. Everyone can do a small part to make their properties more efficient and we would like to help. All upgrades that we offer save on your energy costs and many of them are mostly funded by utility company rebates. Most customers find a return on their investment within the first year then their operating costs are lowered forever. We offer residential Audits for $225.00 (This fee is waived if we are able to complete $1500.00 worth of upgrades or more.) Commercial properties are just billed at $45.00 per hour for the Audit fee.